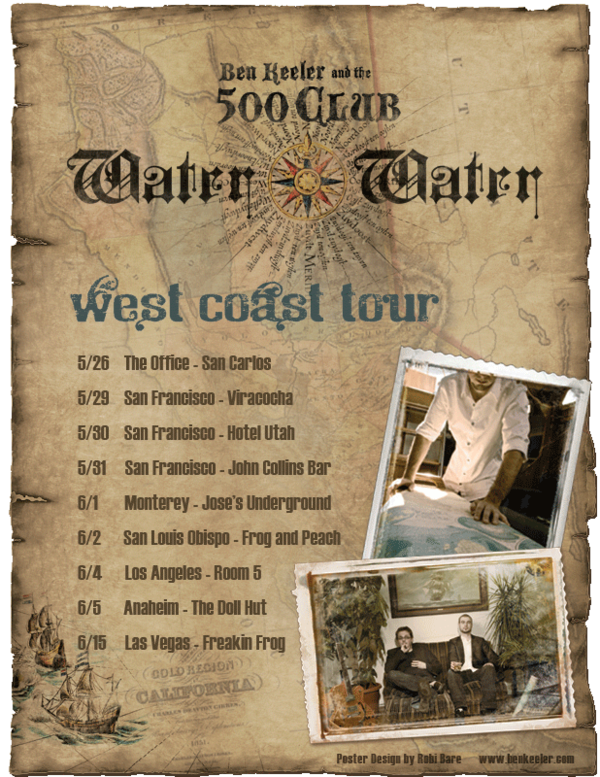 A special shout out goes to my good friend Ben Keeler, of Ben Keeler & the 500 Club, as he sets out on his Californian Coastal Conquest! One year ago I helped him design the artwork for the band’s album ‘Water Water’ and when he called me again, I was happy to do a little flyer to promote the new tour. 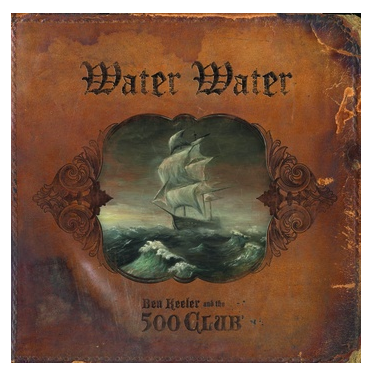 The Water Water album cover. 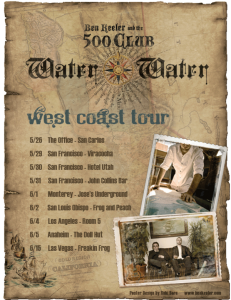 The west coast tour flyer.